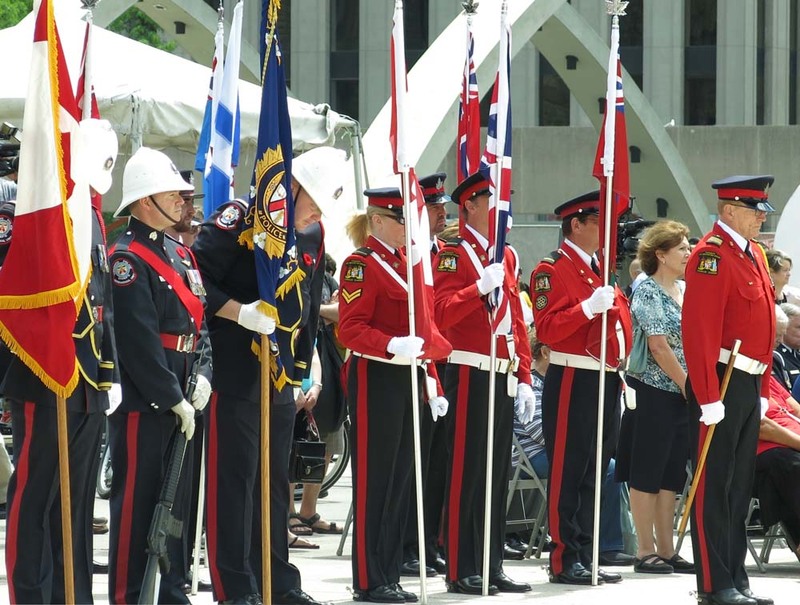 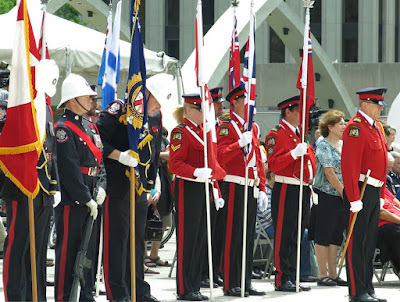 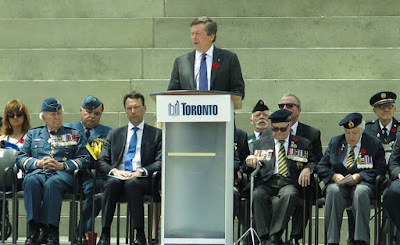 The Mayor of the City of Toronto led the City’s delegation in honour of the veterans during an event which started at noon hour in Nathan Phillips Square. 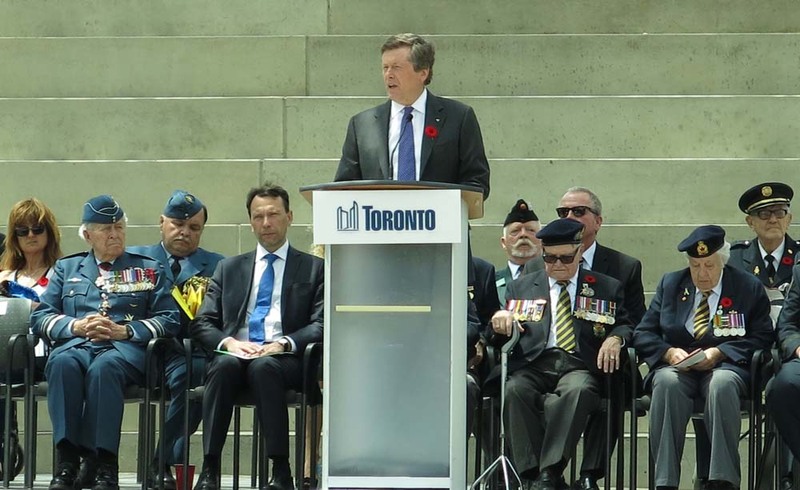 The politicians were joined by members of the police, fire department and members of the military as they paid tribute to the sacrifices many made during the wartime battles. 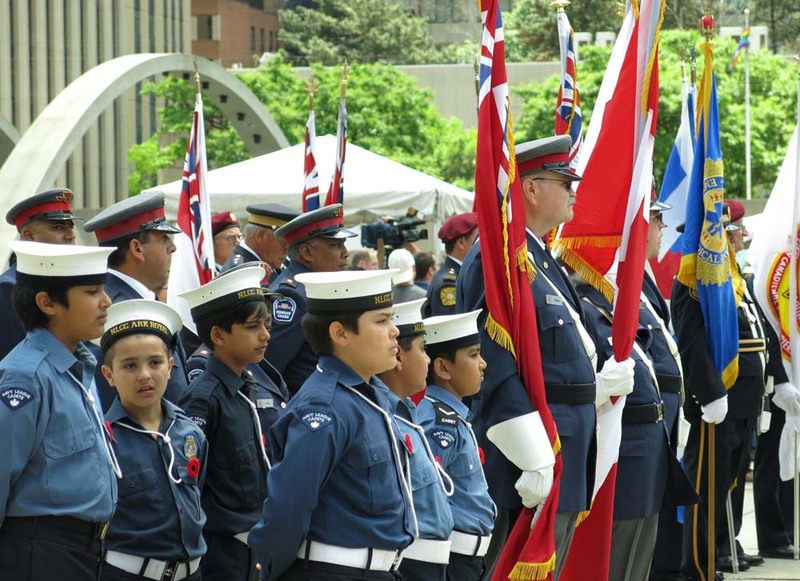 Lieutenant-General Richard Rohmer, a veteran of D-Day, author and decorated soldier, will talk about his experiences during the invasion. 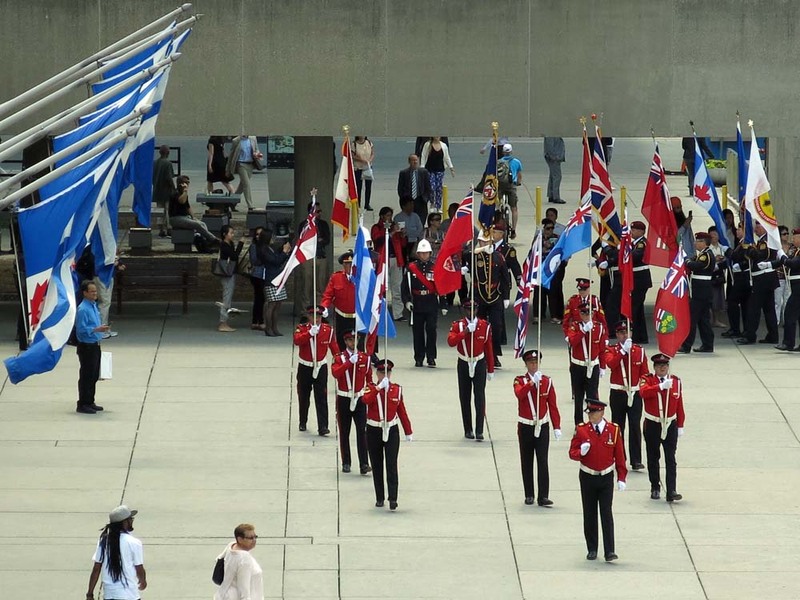 Inside City Hall are two photo exhibits - on by photographer Ludmila Schnaider and one a collection of archival photographs taken during the war and provided by veterans and their families. The exhibitions will remain until noon June 7.